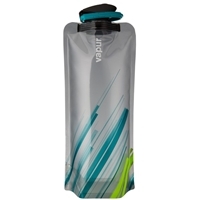 These small water bottles are ultra-portable and, with a 0.4L capacity, they’re also a perfect size for kids’ backpacks and school lunches. The endless customization options will keep youngsters entertained while allowing them to create their own unique bottle. 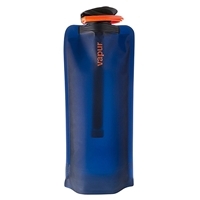 The reinforced grommet and 3-ply construction also gives these bottles the added durability kids need. 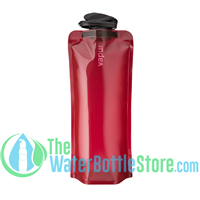 Quenchers are made from a BPA free plastic that are taste-free and odor resistant, dishwasher safe and, of course, reusable and collapsible. 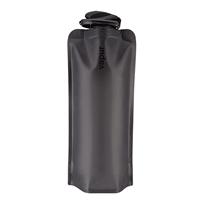 The included carabiner makes attaching these water bottles to belt loops, packs or book bags quick and easy, so your little ones can get out and enjoy the day! Pick your favorite Quencher - Bo, Lolli, Fuse & Splash - use the stickers to bring them to life and add water to wake 'em up. These critters love to travel, so be sure take your water-filled friend wherever you go!